BULGARIA / VARNA / M-T TRAKATA DIST. We present you an exclusive residential project, located in an area with excellent year-round access. The building is conveniently located near a public transport stop that connects the area with the central part of Varna for 10 minutes walking distance to the beach, which is located 400 meters from the building. 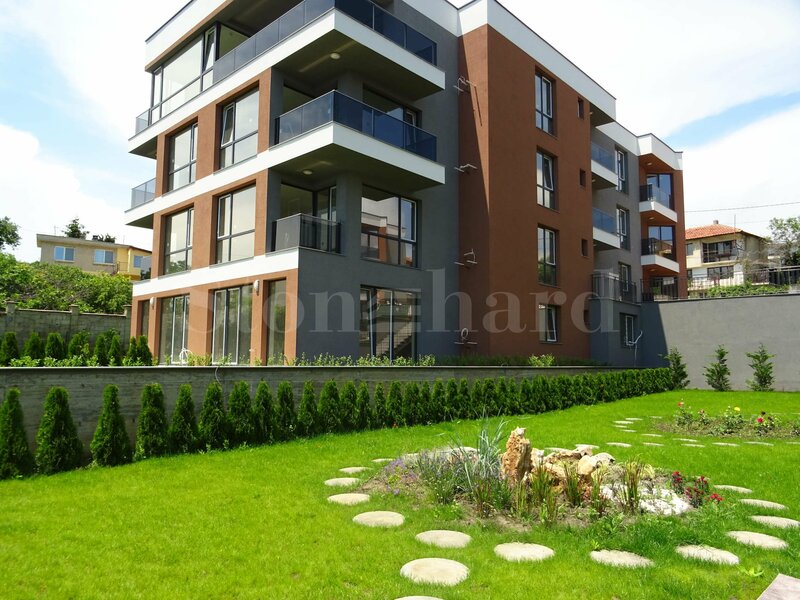 The project enjoys a quiet inner location in the neighbourhood and at the same time it is positioned on the second line from the main boulevard connecting Varna with the resort part of the city. Available for sale 2-room, 3-rooms from 67 m2. 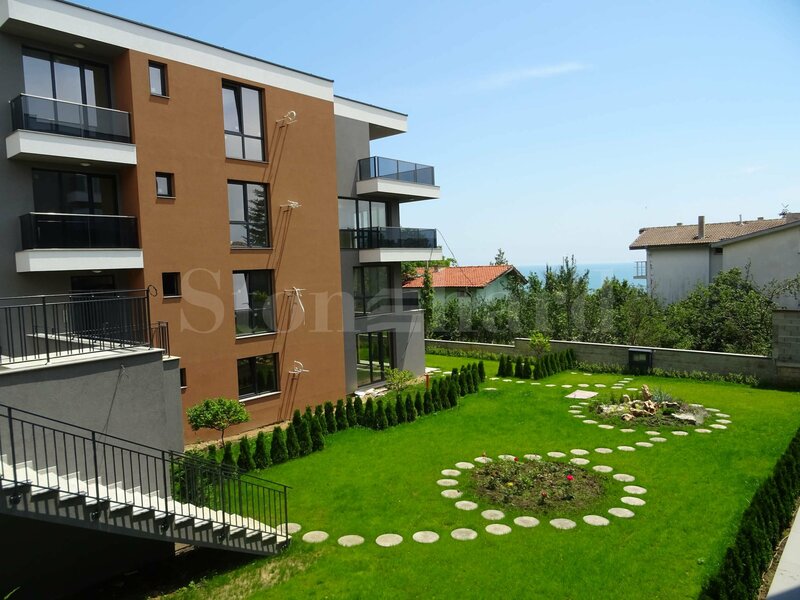 four apartments on the ground floor with adjacent gardens of 200m2. for own use and two unique penthouses of 150 m2. with an adjoining roof terrace of 30 m2. breathtaking sea panorama. Prices start from 58,290 € for one-bedroom apartment! This project is the work of one of the most talented and modern architects of Varna. The construction will be realized by an investment company with a perfect construction history for over 15 years and with more than 20 completed buildings. Evksinograd - Trakata is an elite area and is the largest villa zone in the area near Varna, part of the Primorsky region. Trakata is a preferred place for both seasonal and year-round living. The area is peaceful and quiet, away from the noise of the city, while being only minutes away from the centre of Varna or the beautiful beaches of the resort "St. St. Konstantin and Elena ". Varna International Airport is only 15 km away. Bus lines: 9, 209, 409, 31A. The building is designed to combine maximum comfort of housing and minimal energy costs as well as room maintenance. The project facilities an impressive modern vision and consists of two blocks with 4 storey floors. The German and Austrian high-class materials will be used in the construction as well as the best of the Bulgarian producers: Wienerberger bricks, Weber facade and heat insulation, 5-chamber PVC joinery and others. The common parts will be finished with granite tiles, quality latex, lifts, aluminium railings. The apartments are offered as standard in the degree of finishing under BDS (putty and putty). At the request of the client, the construction company can complete the "turnkey" apartment against extra payment under very attractive conditions and highest quality according to the specific budget and taste of the buyer. At the disposal of the clients is also a solid interior designer, who can prepare a professional project for completion and furniture of the dwelling. 10% for notarial transfer of ownership of the property.